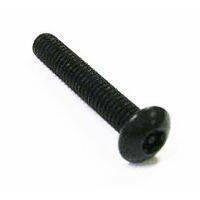 Security Torx Screw - #8-32 x 3/4"
Security Torx Machine Screw - #8-32 x 1"
Black Lock, 1-1/8" = 28,6mm length, 2 keys included. 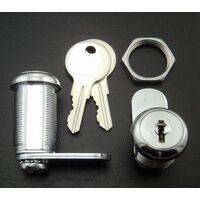 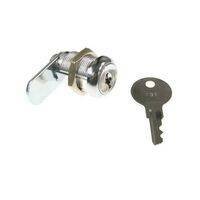 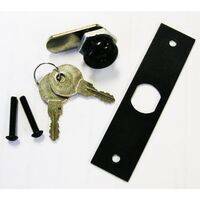 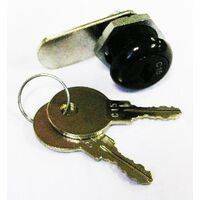 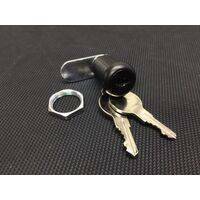 Chrome Lock, 1-1/8" = 28,6mm length, 2 keys included. 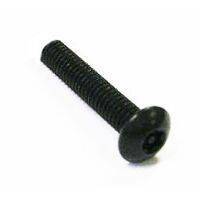 #8-32 x 3/4" long security torx screw used to attach the Williams/Bally lock plate 01-9519) to the back box. 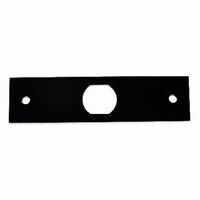 Williams/Bally reference #4008-01093-12B.